We all want to keep our small children and pets as safe as possible. While for years we have known it is safest to fasten our babies into special car seats, now it is even recommended that we do the same for our pets. We take them to the doctor and vet on a regular basis, feed them healthy foods and make sure they get appropriate stimulation and exercise. Here at OxiGreen Carpet Cleaning in Levittown, PA, another thing we know is that that our method of “green” carpet cleaning is safe for your babies, young children and pets. In fact, it is better for all of the members of your family, no matter what age! At OxiGreen in Levittown, PA, we have been long committed to 100% green carpet cleaning. All of the cleaners we use in our process have been derived from the tea tree, a plant that has long been used for its antibacterial benefits. In recent years, manufacturers of facial products, hair care products, and other personal products have begun to include tea tree extracts in the ingredients. They are completely safe for the environment and, more importantly, for your family. When our certified technicians from OxiGreen clean your carpets, we will use our modern, truck-mounted equipment to blast hot water into your carpets. This dislodges the pollens, dirt, dust mites and other pollutants that are trapped there, ones that the average vacuum and carpet cleaner never touch. When we extract 98% of the water, we will also extract the vast majority of this allergy causing debris. 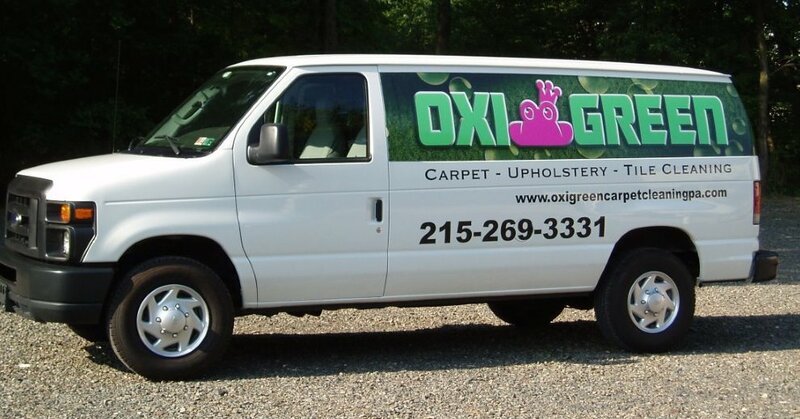 For super clean and fast-drying carpets, call OxiGreen in Levittown, PA today at 215-269-3331. We have same day appointments available, and are happy to foerr you a free quote over the phone. Feel free to visit us online as well at http://oxigreencarpetcleaning.com to learn more about our company, our 100% satisfaction guarantee, and the other services we offer, including tile and grout cleaning, carpet stretching and more.